Tank replacement/installation is the red area plus the area in the blue circle. 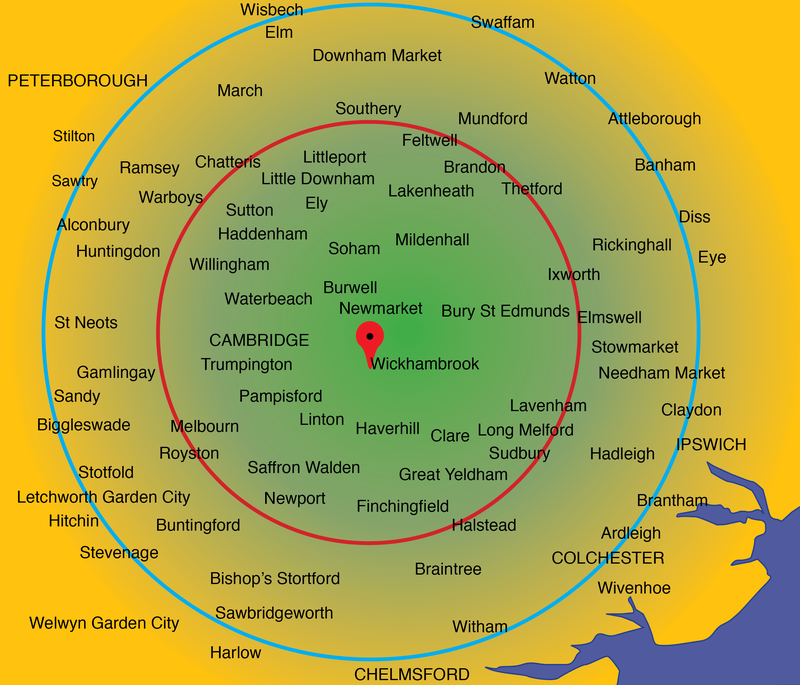 If you are on the edge of a circle please contact us now to see if we can cover your area. Do take advantage of the Contact Us form at the base of the page to contact us for a Free “no obligation” quote or general enquiry we are happy to help. Please check we cover your area – see map above. Nb we cannot list every village so if yours is not mentioned but lies within the selected area you will be covered. If in doubt contact us.